I covered OnLive Desktop a few weeks ago, and it’s an incredible app. 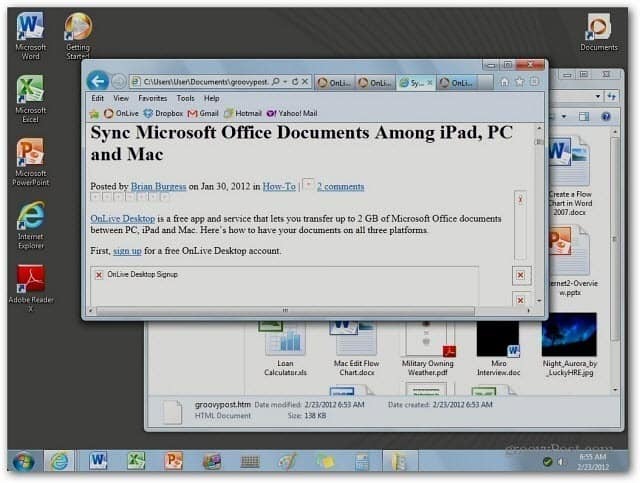 It lets you run Windows and Office 2010 on your iPad, and Save up to 2 GB of files with the free account. The company recently added Internet Explorer 9 and Adobe Reader to the service as well. Last night I launched OnLive Desktop Standard on my iPad. I noticed two new icons…Internet Explorer 9 and Adobe Reader. 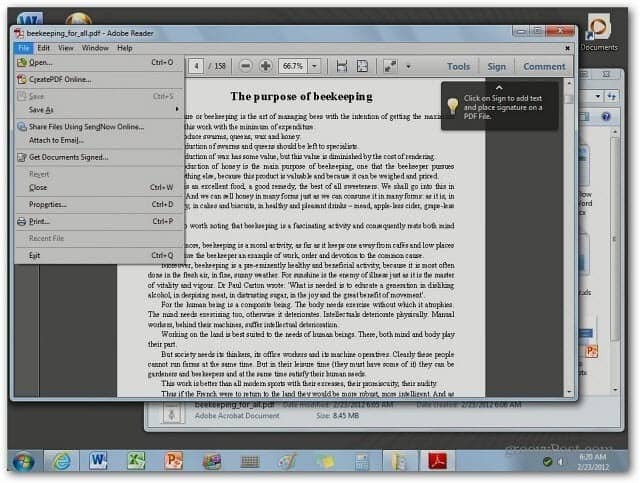 The ability to work on MS Office Files with your iPad OnLive Desktop has always been available. Now Standard account users can sync PDF files among your computer systems and read them. The Standard version includes Internet Explorer 9, but not Adobe Flash.Since free Standard accounts don’t have Flash, general web browsing isn’t supported. You can use IE 9 it to open static HTML files and it gives you an idea of how it will function. OnLive also has made Desktop Plus available. 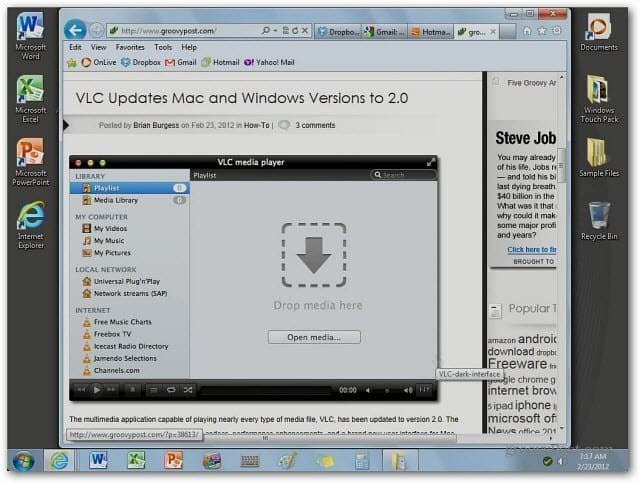 For $4.99 per month you get Cloud Accelerated Web Browsing with Adobe Flash and Priority access to OnLive Desktop. When I purchased the upgrade, I had the extra features immediately – no restart required. You’re charged $4.99 each month and can cancel at any time. I was pleased to see it work this way and instead of having to pay for a full year at once. Very nice if you want additional features for 30 days, then go back to the Standard account if you want. 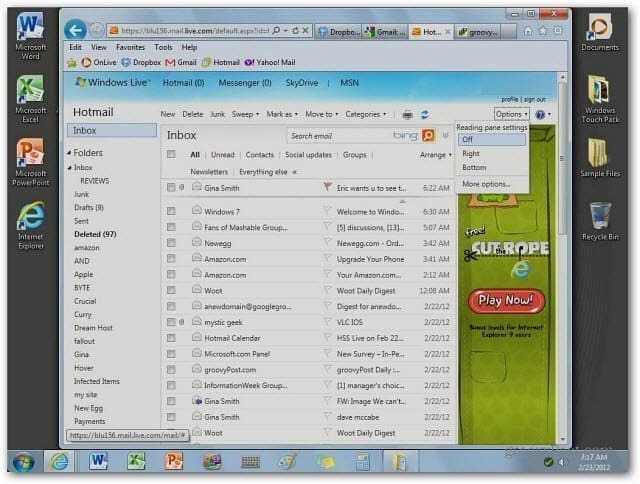 With Cloud Accelerated Browsing and Adobe Flash, you’re able to use web based email services Gmail, Yahoo and Hotmail. Like the free account, you get 2 GB of storage with OnLive servers. 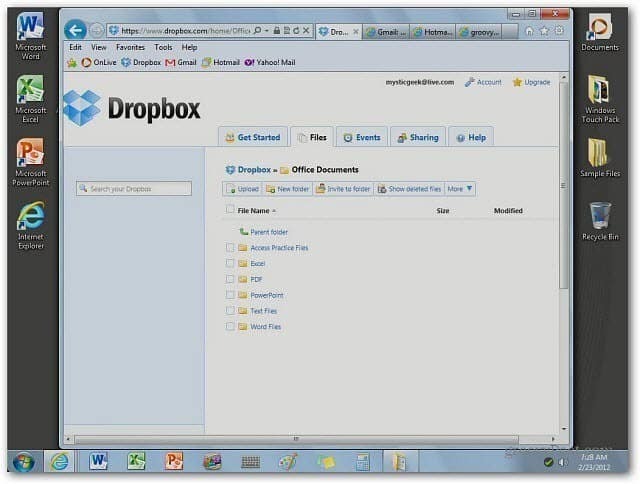 You’re also able to access Dropbox – which gives you even more storage for MS Office files. You’ll also be able to do general web browsing with the Plus account. The desktop and browser can be difficult to navigate. A stylus is recommended for more accurate control. The free Standard version gives you extra resources at your fingertips. Upgrade to the Plus account for even more. 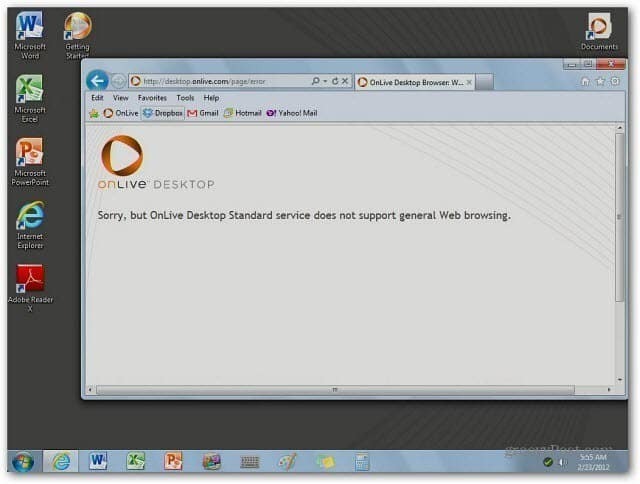 In the future, OnLive Desktop will roll out Desktop Pro and OnLive Enterprise. OnLive Collaborative services are also coming soon. The upgrade to OnLive Desktop Plus provides a more feature rich Windows experience on your iPad. At only $4.99 a month, the price is right too.